Executive Director Craig Lewis presented at this webinar, which took place on April 26, 2012. 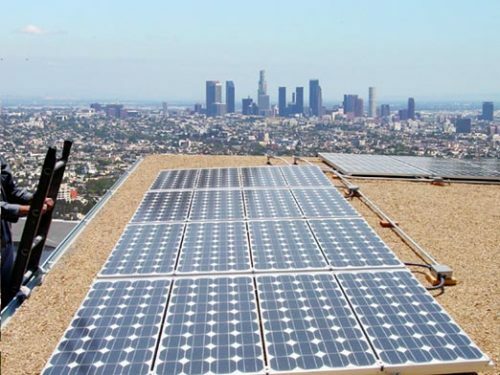 Craig Lewis, Executive Director of the Clean Coalition, presented at this Solar Electric Power Association (SEPA) webinar on Thursday, April 26 at 11am PST. This educational webinar focused on Clean Local Energy Accessible Now (“CLEAN”) Programs, also known as Feed-in Tariffs. CLEAN Programs are proven, easy-to-implement policies that help utilities meet renewable energy goals and communities capture clean energy jobs and investment opportunities while minimizing administrative burdens on utility staff. This webinar explained how to evaluate, design and implement a cost-effective CLEAN Program. Speakers from the Clean Coalition and the City of Palo Alto provided an overview of CLEAN Programs and a case study of the City of Palo Alto’s recently implemented program, Palo Alto CLEAN. Mr. Lewis’s slides are available for download here. Jon Abendschin, Resource Planner for the City of Palo Alto Utilities, also presented, and his slides are available here.